Estimate benefits of Visa/Mastercard (Pasta Banka)! We are glad to inform you that now you can deposit to your account with the help of Visa/Mastercard (Pasta Banka). Financial operations with “FreshForex” became even quicker and safer! One of the advantages of this deposit method is the application of IFRAME widget enabling to fund account for couple of minutes without redirection to payment gateway website. Widget works in all browsers and operates in mobile devices. Funds transfer is made through the European bank, which ensures a prompt and safe implementation of financial operations. New deposit method is available to all clients of the company with verified personal data. 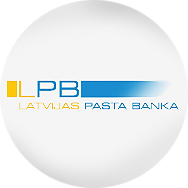 Check “Deposit and withdrawal” - “Instruction on deposit through Visa/Mastercard (Pasta Banka)” section of the website to find detailed terms.